Soak for about 1 hour in water. Cook until boiled for 2 minutes. Simmer and cook for 10 minutes, covering with Lid. Let it stay for 2 minutes to settle extra steam. Serve with daal , vegetable achar or chatani. 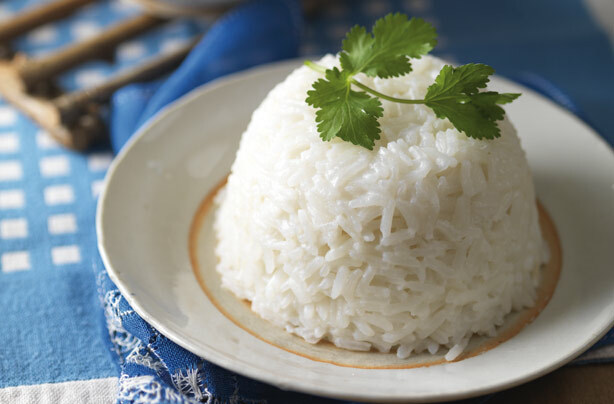 Rice provides instant energy to our body and is digested easily. The fuel provided by rice is used in physical activity and brain and body functions, 160 gram of cooked white rice about 10% of the daily energy need, 2.4 g of dietary fiber, and 85% of the carbohydrates needed in a day. In addition, rice supplies some protein and eight of the thirteen amino which build muscles. As a rice culture, Nepali prepare rice in many ways. Nepali people eat at least one meal of rice each day, there is no full satisfaction of eating. Cook daal in a pressure cooker with water, salt, and turmeric. Remove and pour it in an iron pot. Cook it for a while until colour changes into black. Heat oil. Pop in asafetida and jimbu. Garnish daal and serve with rice. Black lentil, also known as black gram and urad daal, contains a natural pigment known as anthocyanin, as the source of the colour in berries, fruits, and vegetables. It works as an antioxidant and protects the body from oxidative damages and reduces risk of cancer, heart disease, and ageing. It has plenty of dietary fibre. It is an all-season daal served with rice but more commonly eaten in winter to enhance warming up of the body. It is popular in hilly areas as a traditional preparation. Jimbu is the special Himalayan herb Allium wallichii that is native to Nepal and perfectly fits with this preparation. Jimbu has properties to combat respiratory problems. Jimmutea (boiled with salt and turmeric) is a popular remedy for cough and cold in Nepal. Jimbu combined with black daal makes a perfect blend to fight cold. Use of garlic root provides similar flavor and properties if jimbu is not available. Cooking black daal with pidalu in winter season is a common practice in Nepal. 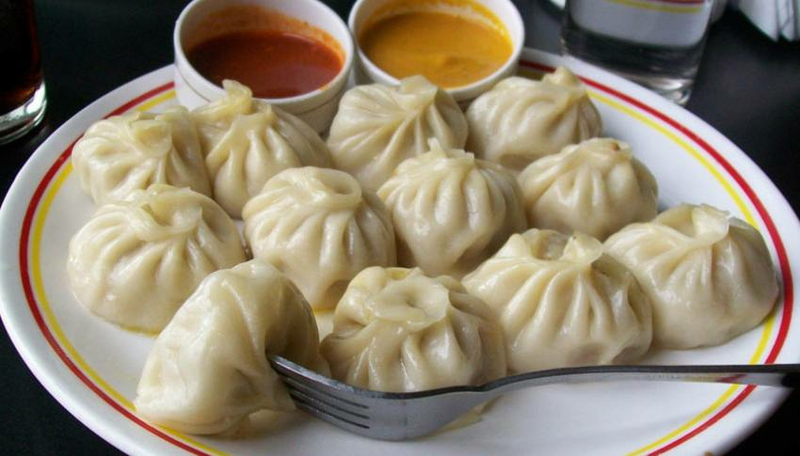 Momos are a must try in Nepal. In different places, different spices are used in stuffing to make momos more spicy or less. It is better not to use any spices in the stuffing but use different types of dips to suit your tastes. Dips with hot chili spices are popular and fun for eating momos, so consider not using any hot spices in the momo stuffing. Make small balls from the dough and flatten them with hand or rolling pin. Stuff it with chopped vegetable mix. Wrap it in round shapes with some pattern as you like. Steam them in a steamer for 10 minutes. Instead of vegetable, use tofu, soybean to get varieties of Vegan Momos. Serve with some dips or sauce.